March is here, the sun is back, but Android developers have hardly noticed because they are working hard on numerous apps and games that you simply can’t afford to miss. Like each month (e.g. February), we’ve selected our favorite new releases to present you the very best Google Play Store has to offer. Sonic CD is back, and you can now play it anywhere you want. Originally released in 1993, Sonic the Hedgehog CD, commonly called Sonic CD, has become an instant success and Sega’s secret weapon against Nintendo and it’s Super Mario. Whereas Super Mario is a balanced platformer that mixes precious with speeds and power-ups, Sonic CD is all about speed and learning how to control it to defeat regular enemies and powerful bosses alike. 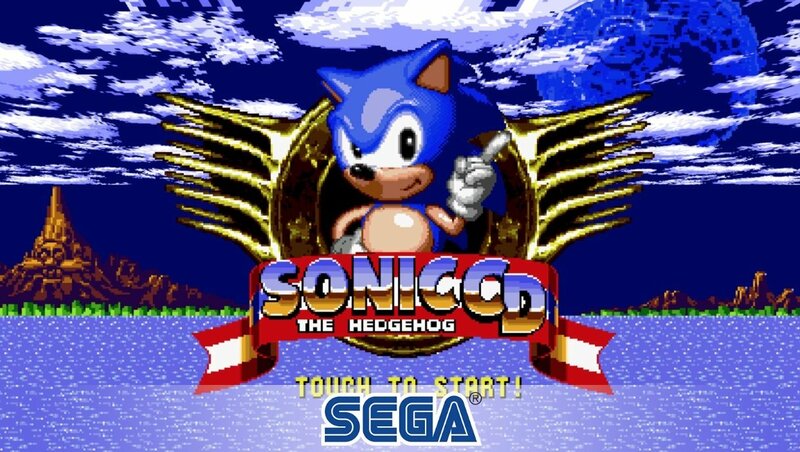 To give die-hard Sega fans a few extra reasons to return to this timeless classic, the Android version of Sonic CD features both the US and Japanese soundtracks and comes with global leaderboards, allowing players from around the world to compete with one another. Sonic CD has received excellent reviews, with reviewers praising its pick-and-play gameplay that works extremely well on mobile devices. Finally! A 4X mobile game that’s actually worth playing. It took a while, but mobile gamers now have an alternative to Endless Space, Sins of a Solar Empire, Stellaris, and other critically acclaimed 4X strategy games. Uciana has turn-based combat, a procedurally generated universe, spaceships with countless customization options, and a wide variety of technologies to research and discover. Like most 4X games, Uciana has a rather steep learning curve and requires a lot of time to get into. But once you learn the basics and get a proper glimpse at the sheer scope of the game’s gameplay mechanics, we guarantee that you won’t be able to put it down until you build the most powerful empire in the entire galaxy. Even if 4X strategy games are not your thing, Uciana is still worth a try since it only costs $0.99 yet has so much to offer. Antihero is a tabletop-inspired strategy game with beautiful hand-drawn graphics and an intense atmosphere of mystery and suspense. The game was developed by Tim Conkling and published by Versus Evil. In Antihero, players assume the role of a thieves’ guild and carry various operations, including stealing goods and blackmailing the wealthy. Antihero has a lengthy single-player campaign as well as an asynchronous multiplayer mode that allows multiple matches to take place at the same time. The game isn’t too difficult to learn, yet it remains challenging hours and hours after the first playthrough. It’s rare for a young workout app to stand out and become popular when the competition is so fierce, and the biggest players in the fitness niche have millions of users around the world. But ManFIT has successfully done something different with its attractive offering of workouts for men that require no fitness equipment yet provide a wide range of options for weight loss and bodybuilding. ManFIT allows its users to choose whether they want to exercise only for a few minutes when they have a short break from work or for an hour or longer when time is less limited. The app keeps track of users’ progress and includes an encouraging badge system and customizable training reminders. Facebook has recently released a new messenger app, this time aimed at children. The app offers a simplified user interface with kid-appropriate stickers, GIFs, frames, and emojis, but it mainly gives parents more control over their children’s online activity. Messenger Kids keeps all messages saved in case parents would like to check in, and it doesn’t have absolutely any in-app purchases at all. Messenger Kids is a welcome addition to Facebook’s app offering, but only time will tell whether it manages to live up to its promises. If you would like to improve your children’s online security and privacy, we encourage you to give it a try but proceed with caution.